Do you ever want to look as gorgeous as Parisian women every day? The secret might be lied on their fragrance, for all we know that Parisian women love to smell good and perfume is probably popularized by them since hundred years ago. For that, a good choice to smell as good is probably Enchanteur! With the recent change of Enchanteur, I am excited to review 3 products out of 7 selections. The new packaging is more modern, elegant, and fresh! It comes with a white base and pink as a pop of color to show feminity. You can also try to visit their WEBSITE first to see the wide selections of Enchanteur products bet you want all of 'em! I have with me the Eau de Toilette, Body Lotion, and Perfumed Talc. The Body Lotion that promises to help brighten the skin naturally and protect the skin from UV Rays, and moisturize the skin with Vitamin C and Licorice Extract. While the Perfumed Talc is a body powder that can help absorbing swear fast to protect your skin. For the Eau de Toilette, it's a lightly scented perfume that lasts long and something that I would wear after I use the body lotion and Perfumed Talc. Combining the whole 3 products will give you a long-lasting effect through the day since layering the products is the key to it! Personally, I like the unique scent and it's really a feminine fragrant that is well made to cater to young people who need not-overpowering scent. I truly like the scent since it's pretty soft and Paris-like! So what do you think of the new look of Enchanteur and which variant suits you best with your personality? 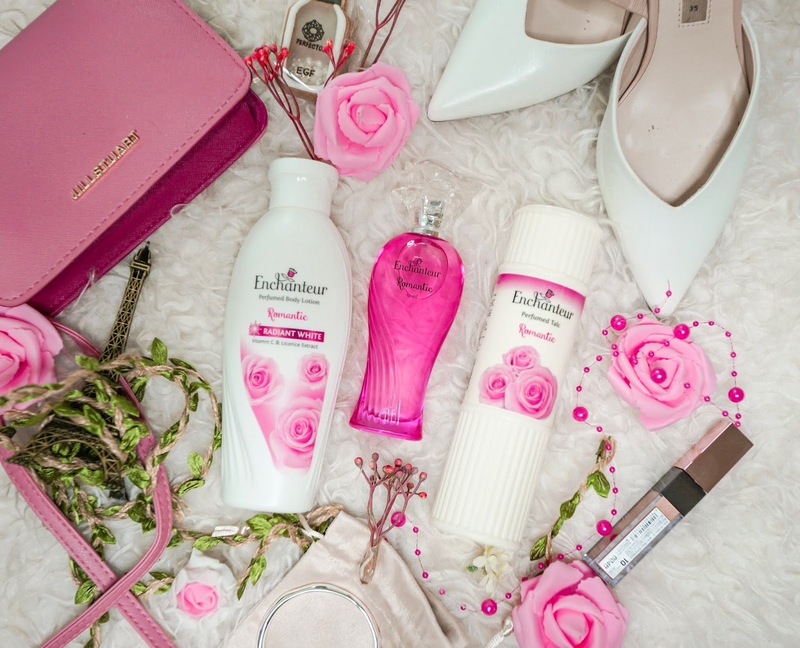 Anyway you can follow the Facebook page, Twitter, and Instagram Enchanteur to find update and other useful tips from Enchanteur and now tou can get the new Enchanteur #ExtraordinaryNewLook in TOKOPEDIA and SHOPEE and it's really affordable. Check it out!